Order off the menu at the Fisherman's Corner Restaurant on Tangier Island. The restaurant is operated by three Tangier Island residents, Irene Eskridge, Stuart Parks, and Noel Marshall. The atmosphere of the restaurant is warm and friendly, smiles abound. You have a wide variety to choose from, a Chesapeake Bay delightful meal for sure whether you are visiting for lunch or dinner. 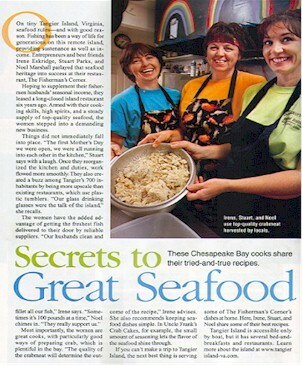 These Chesapeake Bay cooks share their tried-and-true recipes. Also, no where else on Tangier Island is offered such a delightful array of desserts. Our goal: To serve the finest seafood with a full measure of genuine hospitality. Join them and enjoy a meal that will be a highlight of your Tangier Island experience. Enjoy great seafood and service at the Fisherman's Corner.. Savor the hot crab dip or feast on a sumptuous medley of Chesapeake Bay seafood.
" 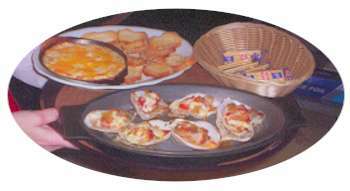 This Chesapeake Bay Restaurant menu consists of Chesapeake Bay style seafood, the ordinary and unusual for making a fantastic array of entrees. And, let's not forget the great desserts make by the owners, themselves; they are absolutely delicious. 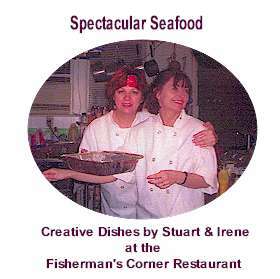 Cooked and served by Tangier Locals..
What visitors that eat at the Fisherman's Corner Restaurant has to say about the Fisherman's Corner .
" 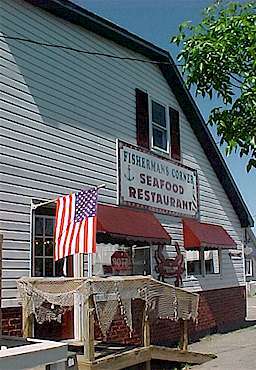 A unique Tangier Island Restaurant. The owners are fantastic cooks. "Seafood Bisque - the Best"
We respond to all requests as soon as possible.